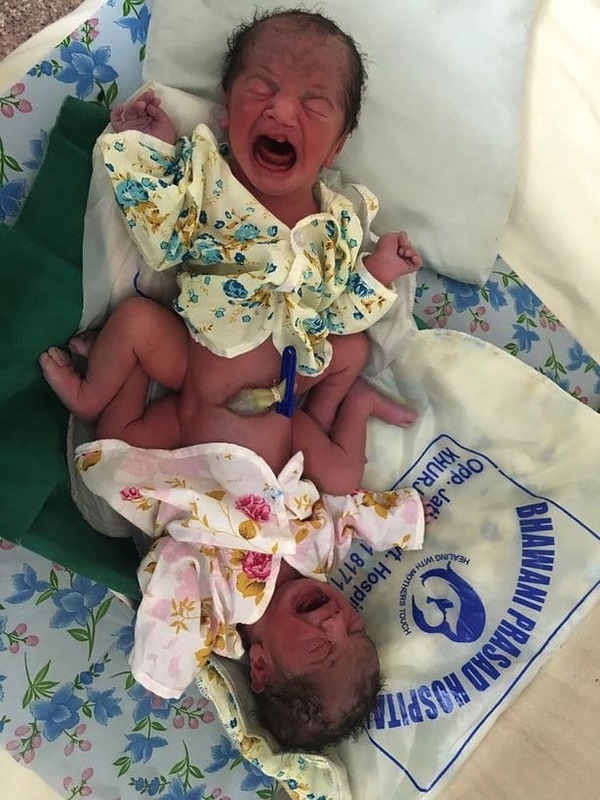 A northern India mom, Urmila Sharma, 28, has given birth to a rare set conjoined twins via C-section at Sonipat’s Cygnus JK Hindu Hospital in Haryana, India, the Daily Mail reported on Thursday. Surprised, the family and hospital staff were only made aware of the babies rare development after a late term scan. 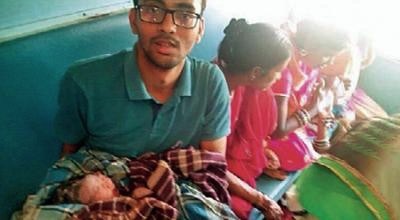 The couple, who are already parents to a little girl, were unable to afford an earlier ultrasound to check for any complications. 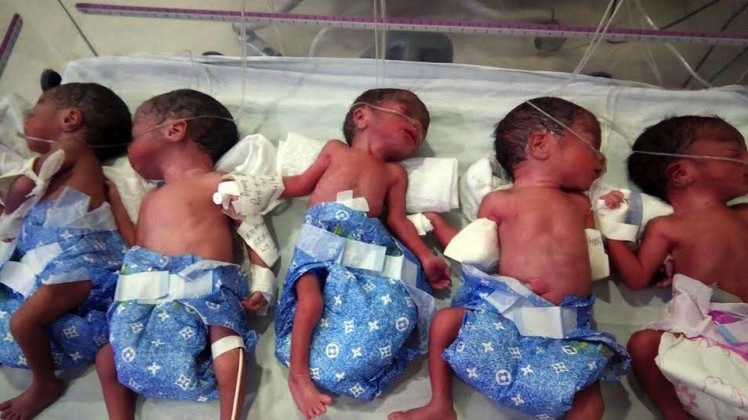 The babies, born via C-section and weighing 7lbs 7oz, have two heads, two necks and two spines but only one body. 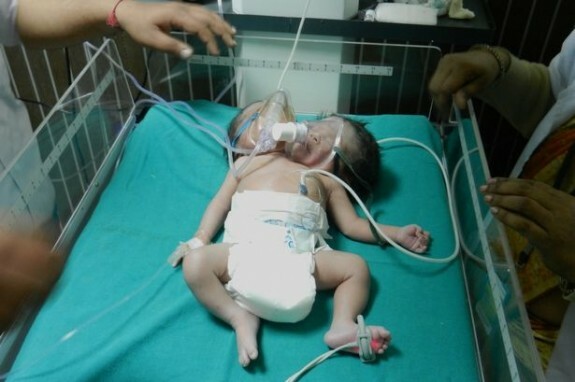 They are fighting to stay alive in intensive care and doctors are worried they may not make it. 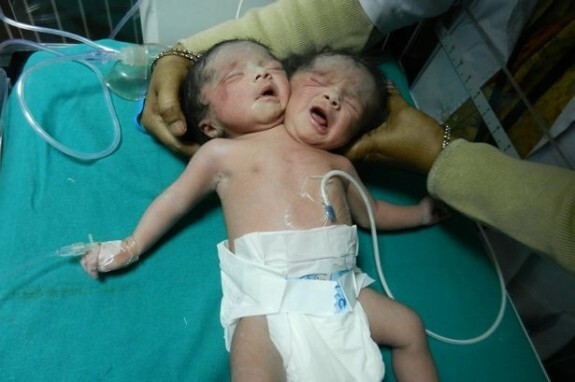 Conjoined twins who share a single body have dicephalic parapagus – an extremely unusual form of conjoinment. Because they share the same body, it will not be possible to separate them. 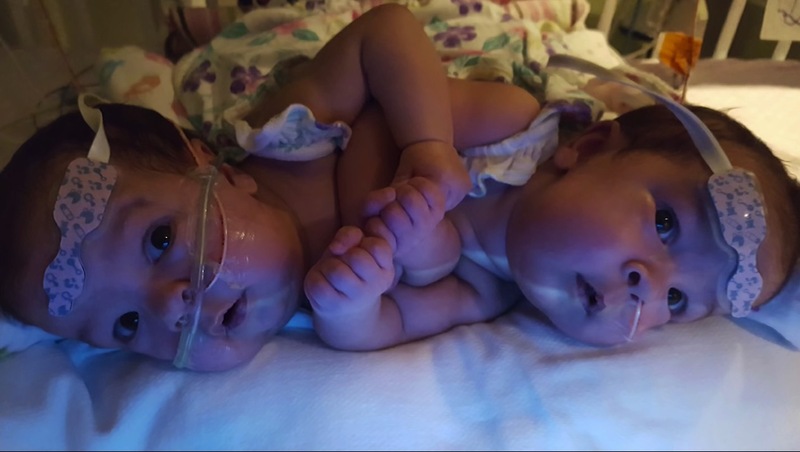 The story comes just a month after an Australian couple revealed the baby they’re expecting shares two faces on one skull, along with two pairs of eyes, two noses, two mouths and two brains that are joined together through a single brain stem. Doctors had asked the couple to terminate the pregnancy, but they plan to move forward regardless of what issues may arise. 8-Month-Old Baby Tips The Scales At 38lbs!